Wooden presses with direct screw. 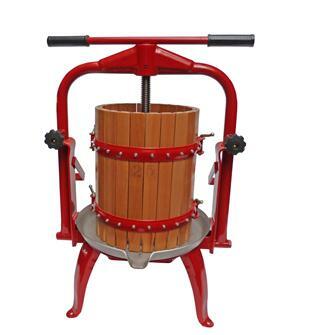 For pressing any kind of fruit - apples, grapes, pears, blackcurrants, redcurrants... to make juice, wine or cider. Screw press and tilting stirrup. 15 cm basket, 6 litres. Screw press and tilting stirrup. 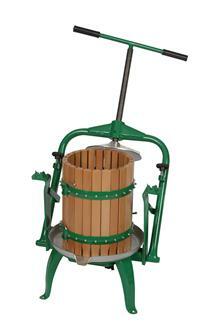 25 cm diameter basket, 20 litres.